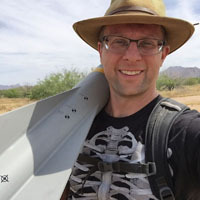 My name is James Cramton, and I founded Rocketry Works in Tucson, Arizona in 2018 because I saw a need for greater access to educational model rocketry programs in our communities. 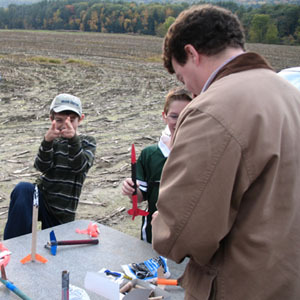 Rocketry Works seeks to meet that need by leveraging more than a decade's experience teaching model rocketry to train, equip, and empower community leaders to conduct safe, exciting, and educational model rocketry programs in their communities. Starting an educational model rocketry company inspired me to leave behind a 25 career in information technology and ecommerce to share model rocketry to more people. 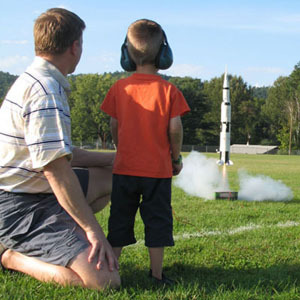 At Rocketry Works, we want to inspire the creativity that comes with the many kit choices out there. But we've made careful selections of products that we think will work well for use in an educational setting. We've also worked hard to develop our own line of Rocketry Works products that we think hit the sweet spot--functional, fun, and easy to build, with a focus on safety, ease of use, and at a price point that can work for you. Schools and community groups want to build engaging Science, Technology, Engineering, Art, and Math (STEAM) programs, and model rocketry can be a great resource in that effort. But it is tough to know where to start. As president of my local rocketry club, I work with other volunteers to help school, scout, 4H, and other community groups build and fly model rockets. But the shortcoming of this model is that there are simply not enough trained volunteers to reach the whole community. For example, in the county where I live, near Tucson, Arizona, there are around 300 schools, but only about 20 volunteers donate their time to teach model rocketry. Together, members of Southern Arizona Rocketry Association (SARA) volunteer thousands of hours per year to make model rocketry a part of Tucson's learning environment, but we can only reach a small fraction of the area schools. When you consider that there are around 25,000 cities and towns in the U.S. and Canada, and around 200 rocketry clubs affiliated with the three rocketry associations in the U.S. and Canada, it's clear that we need more qualified community leaders to reach more of our kids. There just are not enough volunteers affiliated with rocketry clubs to go around. Like many of us in the model rocketry hobby, I started building and flying model rockets in grade school, and the passion burned strong for a few years, before sports, school, and the other interests of high school took precedence. I returned to rocketry during my college years while working back home in Illinois, but again, life intervened, and I didn't pick up the hobby again for 20 years, when my then 4 year old son spotted a box of my old rockets when we moved to New Hampshire, and had to see them fly. So out came the rockets, and I immediately found a new love in teaching model rocketry. Since that new beginning more than a decade ago, I've taught model rocketry to thousands of students, and learned from mentors along the way as well. I'm happy to apply that experience to help you gain the knowledge and skills you need to enjoy the fun of teaching model rocketry in your community.